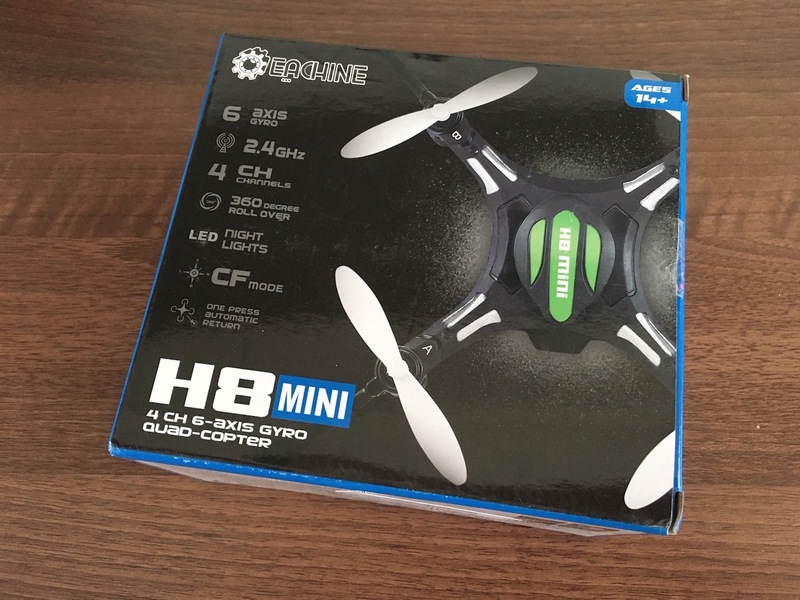 For a long time I shied away form getting a quadcopter and one of these days I impulse bought one of the Eachine H8 Mini Quadcopter RC Drones. 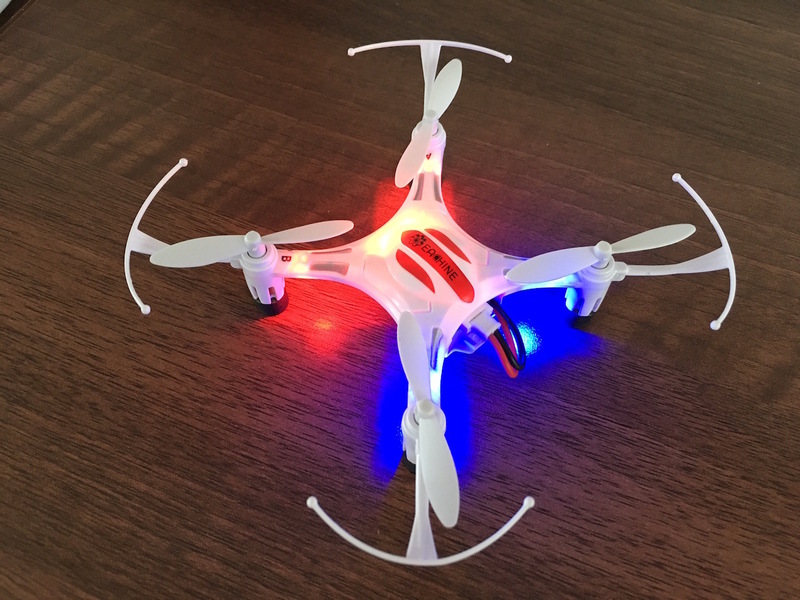 This past weekend I finally had a chance to try it out - I have to say that a quad feels very different to any other RC craft I've played with. 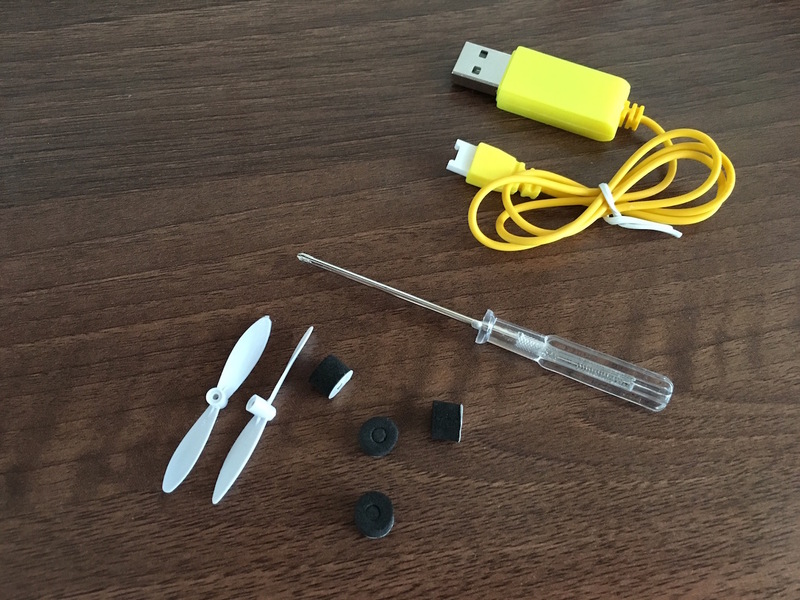 I've used several coaxial helicopters in the past, like the Syma S107, these feel like a breeze to control compared to the H8 Mini Quad. However the way a quad moves is very different to a heli and is lots of fun once you start to get used to the controls. So lets check out what the H8 Quad looks like...The box is compact, labelled ages 14+, I would very much agree as it is very easy to hurt yourself on the propellers. Inside the quad is packaged along with the controller, both are about the same size as one another. Yes this quad is quite small! There's also an instruction manual and a bag of components including spare propellers, landing pads, the charger and a screw driver. The landing pads aren't attached and aren't really required but I stuck mine on anyway (to dampen all those crashes). Charging is easy, just plug the USB charger into the battery and way a while. 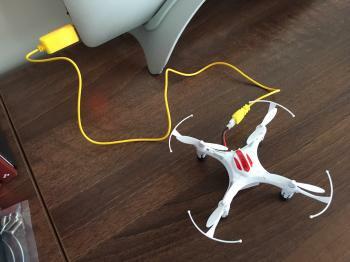 There is no on/off switch on the drone itself so plugging the battery in effectively turns it on, the lights illuminate but it won't spin until the controller is synchronised with it. 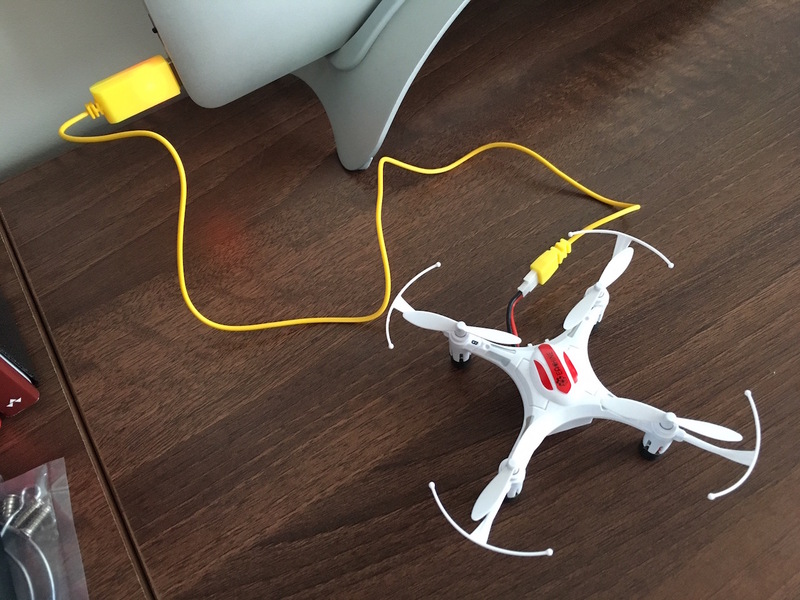 A single charge lasted me about 10 minutes of flying time, though half that time was probably spent fetching the crashed drone and putting it the right way up! What I found the most difficult is working out which way the quad was facing. This was the main reason it crashed so much on me, I just had no idea which way it would fly! The controls are very sensitive so pushing the throttle hard makes it take off very fast. One of the most fun things with this drone was how high it could get in a relatively short period of time. I'd take it up quite high, then let it drop without any power for a while, then I'd push throttle once again to have it hover back up just before hitting the ground. Amazing how fast it recovers from a free fall! 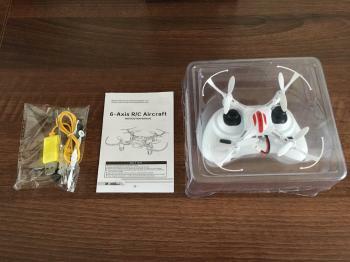 I also tried playing with the quad indoors and quickly found that it is much more suitable to outdoors use only. It's either that or I really can't control it! A quad definitely takes more practice to master than a coaxial heli, but is fun and flies in its unique way. 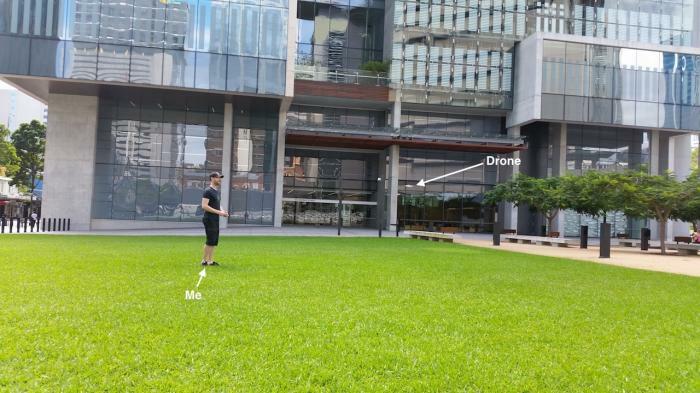 I'm looking forward to trying out a hexacopter in the future too.